For any feedback about our current edition or to pre-book your advertising space for the December 2019 edition, simply drop us a line through our contact us page . Ad pricing and publishing details will be announced around Aug/Sept 2019. What is the Coastie Magazine? 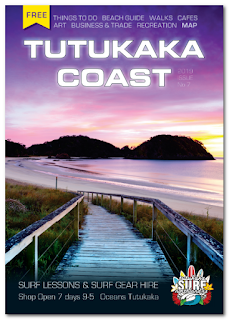 Featuring the T-Coast beach guide, things to do, a local area map, walks guide, business & trade advertising, locally relevant stories and information.